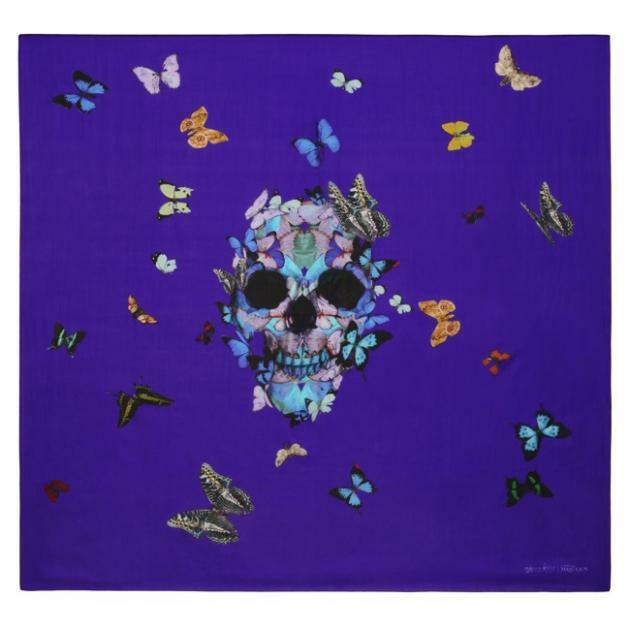 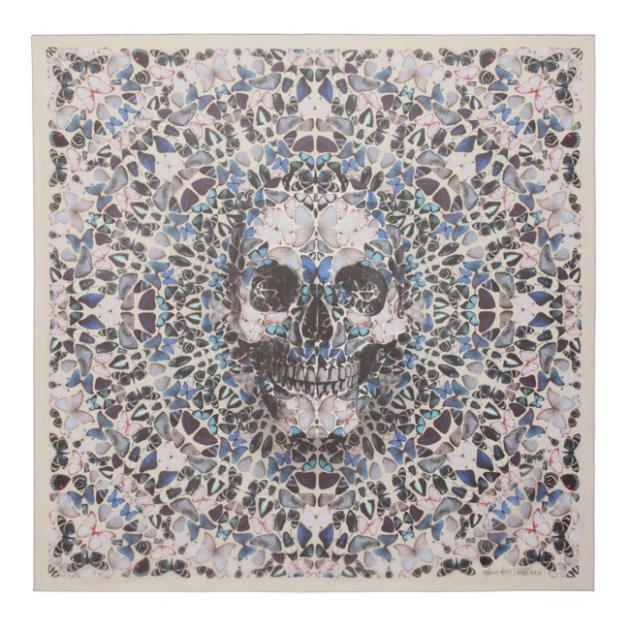 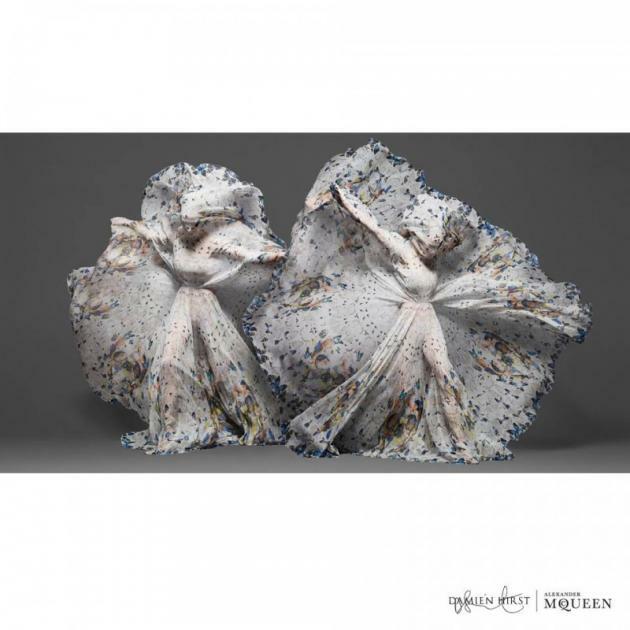 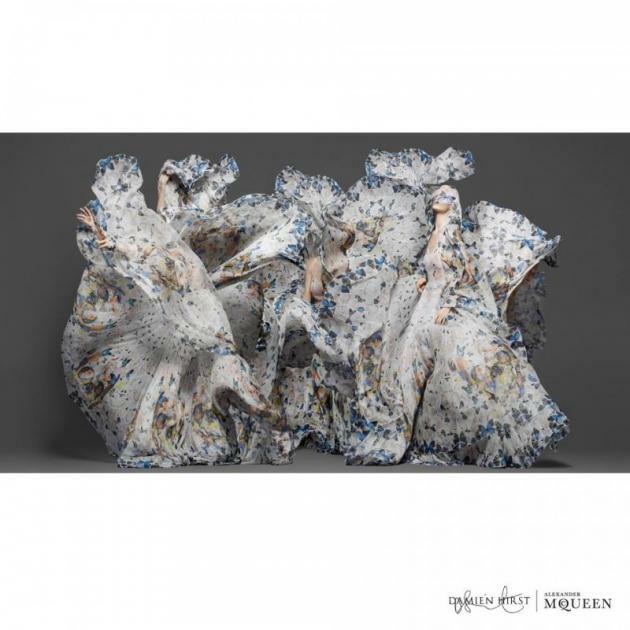 Fashion label Alexander McQueen celebrates its 10-year anniversary of its skull scarf with a collaboration with artist Damien Hirst. 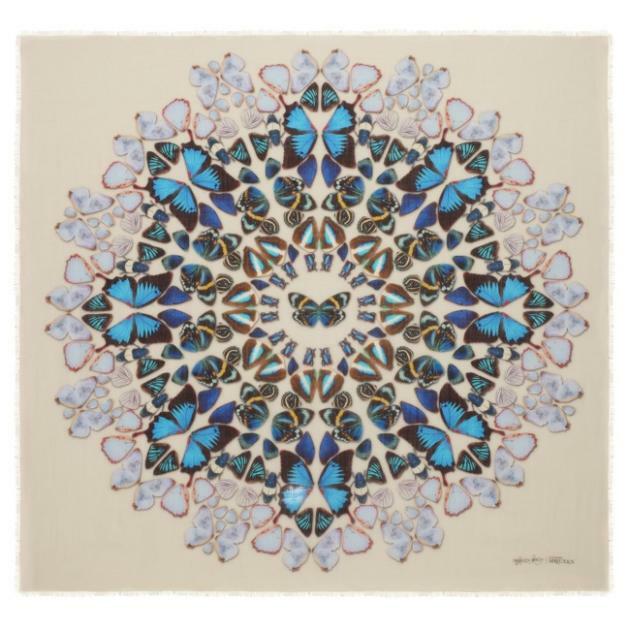 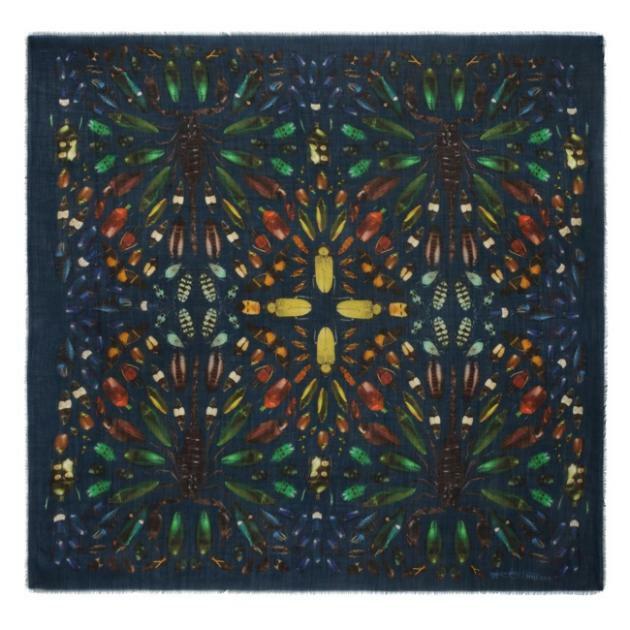 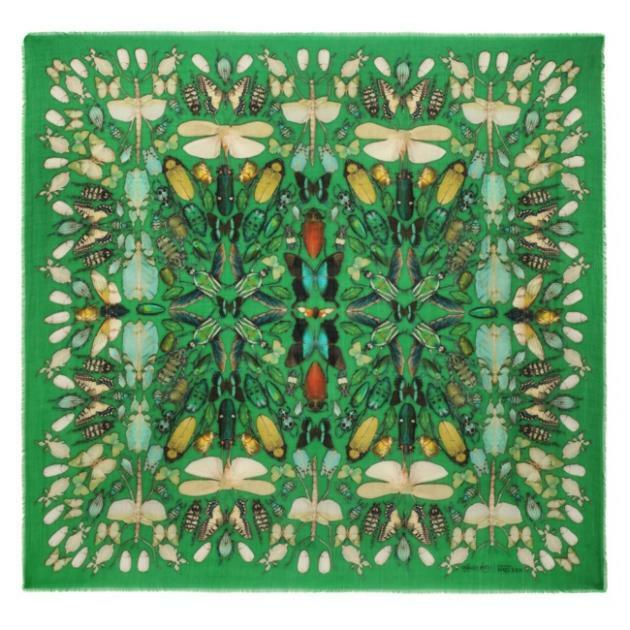 The exclusive line of scarves consists of thirty, one of a kind, designs featuring motifs like spiders, butterflies, bugs, skulls, and other insects. 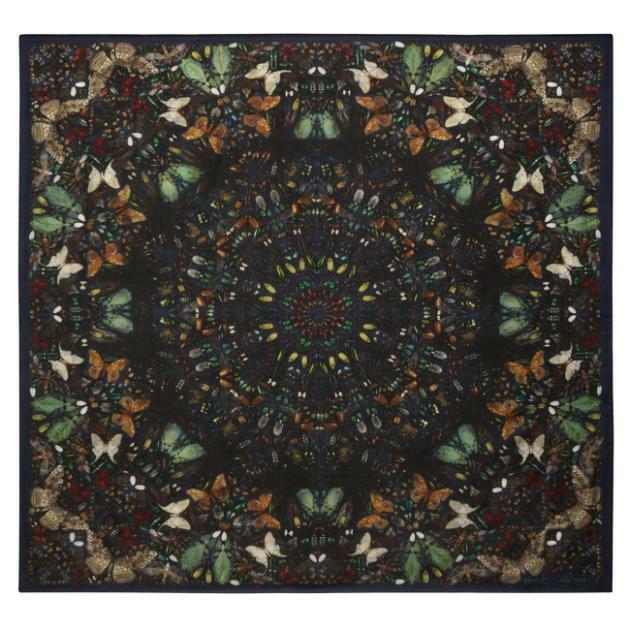 The new line hits stores November 15 with prices ranging from US $515 to $1175 (approximately RM1,650 - RM3,760).